Constructed to contain the batterybox and RC receiver for Power Function engines. Printed bricks in 3 languages included. Roof can be lifted off easily to change the batterybox or switch to another RC-receiver channel. Channel selector on top! Batterybox and RC-receiver not included. Complete PF set (also including PF motor) is optional. Can be used on 9V, 12V or RC/PF track. 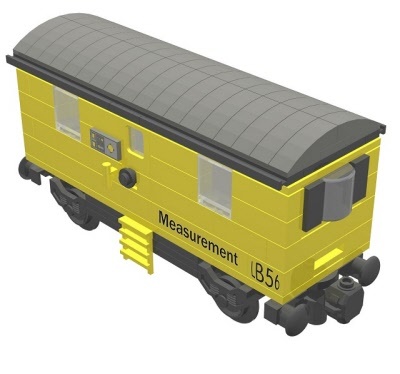 Goto 'Engines and Carriages' for a special offer for the LB07 engine + the LB56 wagon. Printed bricks in English, German and Dutch.